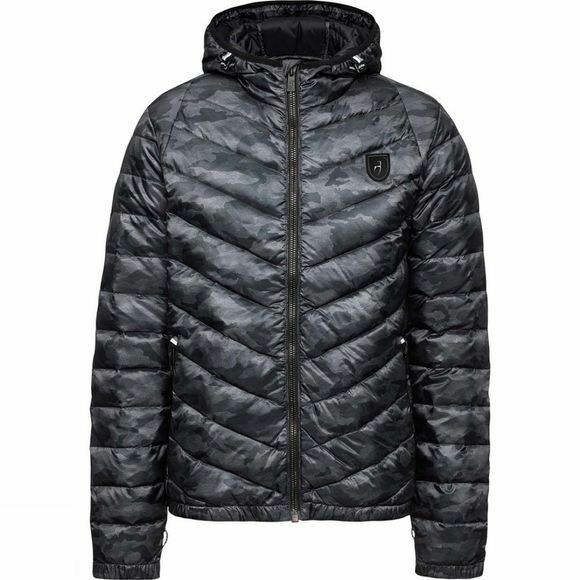 The Mens Streif Edition Down Jacket from Toni Sailer Sports is part of their latest collection. 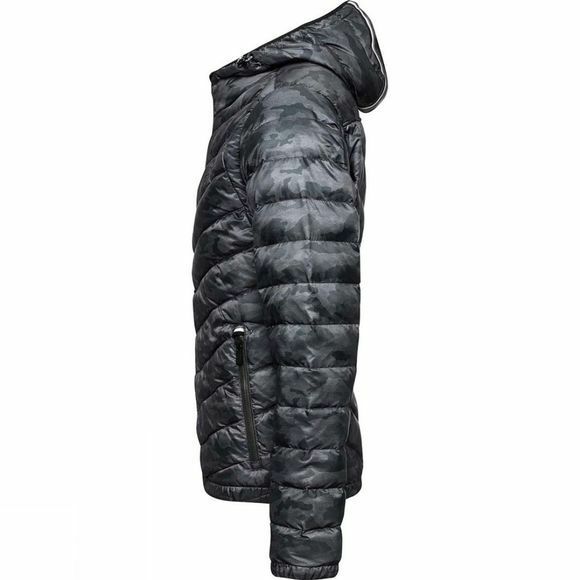 With the intention of providing long-lasting warmth with low weight, the extent to which this 700 fill power jacket with a down to feather ratio of 90/10 meets these requirements is impressive. Furthermore, the inner jacket acts as a windbreaker, in addition to being water repellent, and the lining does not let the down through. Quilted seams, elegantly placed striped design elements and the blue-grey-black camouflage pattern designed by Toni Sailer inspire the wearer of this versatile jacket to go the extra mile. The inner jacket can also be worn separately as a down jacket for spring, skiing or for a multitude of activities off the slopes. The trademark for all Streif Edition ski wear components is a black 3D logo.